Dr. Zaman has the exceptional privilege of being trained in three dental specialties: Oral Surgery, Prosthodontics and Periodontics. He received his dental degree in 1999. Subsequently, he completed a one-year dental internship followed by a four-year residency in Oral and Maxillofacial Surgery in 2005. 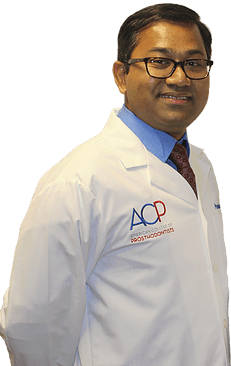 Dr. Zaman was granted a Fellowship in Oral and Maxillofacial Surgery in 2007. He furthered his education in 2013 by completing three-year postgraduate specialty training in Prosthodontics at Nova Southeastern University College of Dental Medicine, where he received a Certificate in Prosthodontics and a Master of Science Degree. He then completed a one-year Implant Fellowship Residency in the Dept. of Periodontics at Nova Southeastern in 2014. Dr. Zaman holds a faculty position in Post Graduate Prosthodontics at Nova Southeastern University. His special interests are in aesthetic full-mouth reconstruction and complex dental implant surgical procedures. Dr. Zaman researched both in the field of Oral Surgery and Prosthodontics. He studied on treatment outcome of oral squamous cell carcinoma based on clinical staging of the cancer. In his research project, he compared marginal adaptation and retention of CAD-CAM all-ceramic crowns with different preparations. His study has been published in the “International Journal of Oral & Maxillofacial Surgery”. Call trusted implant dentist Dr. Zaman today at 407-988-2003 to inquire about our options for tooth replacement and implants.